There Was An Old Lady Who Swallowed a Chick Book Companion! 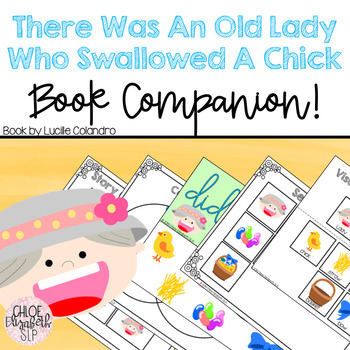 Book companion for the book There Was An Old Lady Who Swallowed a Chick by Lucille Colandro! 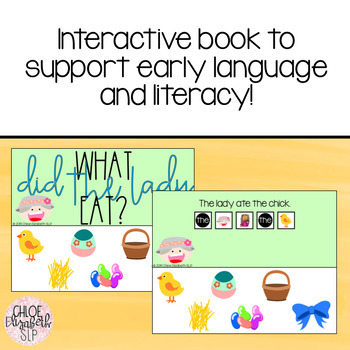 This book companion was designed with early language, preschool, and early elementary speech therapy and special education students in mind! 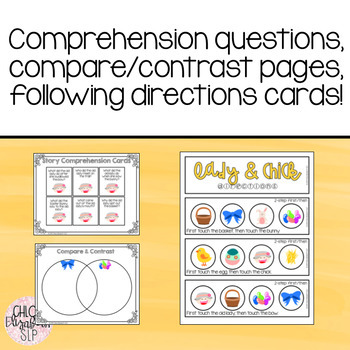 Target early expressive and receptive language while incorporating literacy skills with these fun activities and cards. This is a zip file! Please make sure you are able to download and open this file before purchasing! I hope you enjoy this book companion! 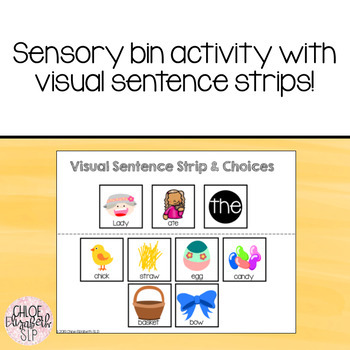 If you do, please check out some of my other early language activities! If you enjoy this product, please consider leaving feedback to earn TPT credits! I read and appreciate every comment!